When I was a boy playing baseball, I always had to wear the number fourteen. It was Pete Rose’s number. 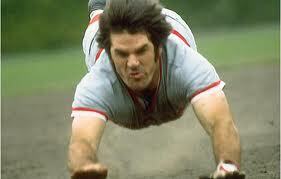 “Charlie Hustle”, the do everything player for the Cincinnati Reds and the Big Red Machine. Even on a walk he ran to first as fast as he could, dove head first into bases and became one of the greatest players of all time. At the end of his career he became baseball’s all time hits leader. But then it came to light that when he was a player manager, he bet on baseball. The evidence was overwhelming, yet Pete (as every Reds fan thought of him) claimed he was innocent. That people were out to get him. Years later he finally came clean. I remember watching an interview he gave to Dianne Sawyer. I came away crushed as my childhood hero admitted to being a gambler and a liar. He is forever banned from enshrinement in the Baseball Hall of Fame. A part of my childhood was ripped away when he came clean. All those years I took up for Pete and in the end, I was the one who had been wrong. Lance Armstrong brought all those memories rushing back. One of America’s greatest sports heroes, the winner of seven Tour de France races, who for years vehemently denied doping allegations, gave an interview to Oprah Winfrey and admitted he had cheated during every one of his Tour wins. All of them. And all of the people he vilified over the years? Lives he had destroyed? Listening to the interview, I found it hard to believe he was sincere in his apologies. But for me, it goes beyond the people in his immediate sphere. Armstrong hurt people he never met. I was told of a man here in Louisville, for whom Armstrong was his hero. Battling his own cancer, Armstrong’s story helped him persevere years longer than me might have otherwise lived. He was given a bike just like Armstrong’s which he used to perform in triathlons. A picture, taken just months before his death, shows him with his boys, with one wearing a “Live Strong” T-shirt, the name of the charity Armstrong started following his battle with testicular cancer. 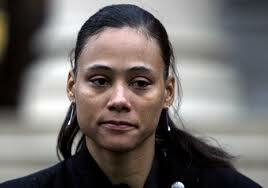 Now the man’s son, who adopted Armstrong as his hero, is finding out he is a cheat and a liar. 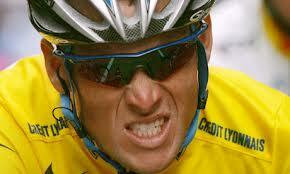 Armstrong has been stripped of all seven Tour titles and has been asked to return his Olympic bronze medal. A whole generation of fans have lost a sports hero. He is one among many: Barry Bonds baseball’s all times home run leader, Roger Clemons, one of the fiercest pitchers of all time, Marion Jones, American Olympian who had to return her medals after she admitted to cheating, and the list goes on. I’m a huge baseball fan and marveled the summer Sammy Sosa and Mark McGwire swatted homer after home in a chase for the season all time homer record. Now we find out both men were likely doped up during their battle. Others admitted their cheating. Players such as Andy Pettitte, Jason Giambi, Alex Rodriguez and the king of all baseball cheaters Jose Canseco, who blew the whistle on the steroid era in baseball. This years Baseball Hall of Fame elected no one, for only the eighth time in it’s history. And why? Because of the suspicion of players who never tested positive. Players such as Mike Piaza and Jeff Bagwell, let alone Bonds and Clemons. Look at people like Reggie Bush, who was stripped of the Heisman he earned at University of Southern California. Floyd Landis, another American Tour de France winner, stripped for doping. What’s a fan to do? 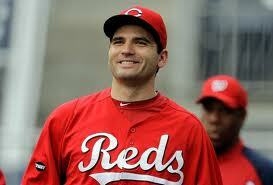 I’m as big a baseball fan as ever, and Joey Votto, of my beloved Reds, is my favorite player. Votto seems like the kind of player who will never be accused of cheating. He plays the right way, plays hard and fans love him. But will he disappoint me? I could never picture “Charlie Hustle” being banned from baseball, the one man who epitomized everything good about baseball. But I’ll believe in Votto. I just won’t be putting him on a pedestal. But how about my girls? My nine year old twin girls love Votto and “Big Papi, David Ortiz of the Boston Red Sox. They’re heroes to my girls. I hope they don’t break their hearts.